If you follow my work and are a regular to this site you will undoubtedly recognize that I have finally updated the theme and look, and hopefully you find it enjoyable and easy to navigate. If you are new to my work and this site please make sure to subscribe for up to date news and information regarding free giveaways and exclusive limited edition releases. 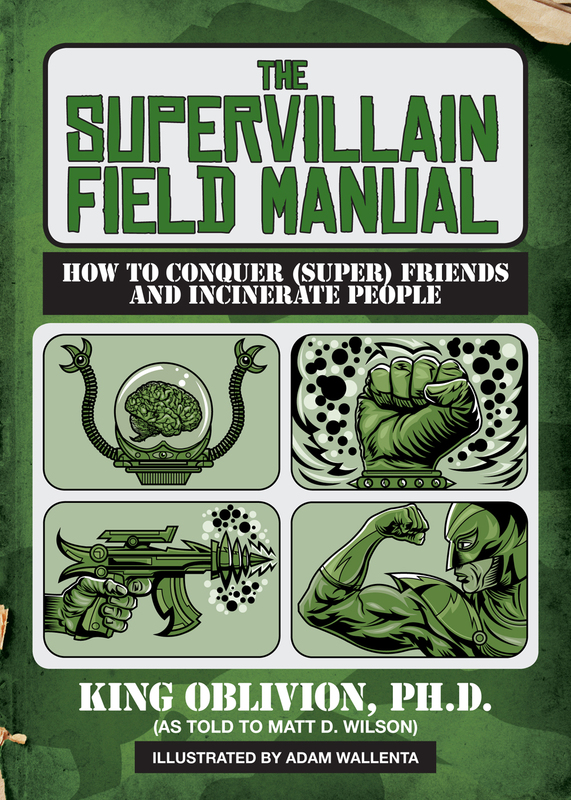 The first big news is, The Supervillain Field Manual, the sequel to the critically acclaimed Supervillain Handbook is now available. You can order copies of both books directly from me here, and I will include a one of a kind original sketch inside each book. The books were written by Matt D. Wilson and are extremely funny. 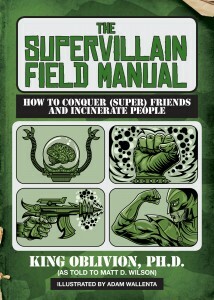 If you love comic books, great humor and cool artwork, I highly recommend you buying these books. I am also currently hard at work on two new personal projects. The first is a brand album produced entirely by the legendary DJ Johnny Juice from Public Enemy. This is going to be my best work yet. We are still in the very early stages but I am planning on having this projected completed and in your hands by Winter. The second project is a brand new ongoing comic book series with my long time collaborator and brother from another mother, PEOV! I will be writing and coloring this new series and he will be handling pencils and inks. I am pouring my heart and soul into this series and I can’t wait to start revealing more details. It’s not like anything out there on the shelves. There’s so much more but for now I will leave you with that. In the meantime, please consider stopping by my new store and making some purchases. All of my personal projects are funded with the sales I make from these purchases and can’t be done without your love and support. I appreciate every purchase and I promise to keep creating quality products for you.